Working in teams. Being outside. Doing physically challenging work. By and large, these are traits many veterans are looking for in a job after leaving the military service. That was certainly true for Jeff Lamica and David Bartholomew, who secured work as solar installers with guidance and support from Veterans Green Jobs. With different backgrounds in terms of experience in the renewable energy field, these two veterans now share a career path. When Jeff Lamica left the U.S. Army, he wasn't sure how he was going to get a job or what he was going to do for work. At first he considered going to college – but discovered another avenue when he met SolarCity, a leading clean energy services company, through Veterans Green Jobs. "The prospect of getting a job was kind of a new one for me. It had been a while. But when I met the people and saw the environment at SolarCity, I started cementing my ideas for what I was going to do for work," he says. As an infantryman, Jeff had deployed twice to Afghanistan for Operation Enduring Freedom. He was accustomed to the military's structured and rigid environment, and knew he'd have to adjust to the civilian world – one that would require him to take more initiative and adapt to a different kind of schedule. Jeff started his transition by contacting Veterans Green Jobs' employment program, which he had heard about from the Army Career and Alumni Program (ACAP). Not long after he was in the Veterans Green Jobs database, he received an email indicating that SolarCity in Parker, Colo. was offering a photovoltaic (PV) installer training program. "I met with a Veterans Green Jobs recruiter, who helped me translate my resume into civilian terms and make me more marketable. She counseled me on the interview process and prepared me for the interview," Jeff says. Today, Jeff has a job as a junior PV installer for SolarCity. Jeff says the job is a great fit for him. He was interested in doing work that was hands-on and physical. And the renewable energy industry was a big draw. "I believe that renewable energy, and my participation in it, helps my country and my community. It makes us less reliant on fossil fuels and foreign imports and makes us less susceptible to an energy crisis. The ability to supply our own energy makes us more self-sufficient and self-sustaining." Jeff believes that he is a good match for the renewable energy field because of the essential skills and experience he gained in the military. "I can work effectively in a team, with many different types of personalities in many different jobs. And I've gotten used to working in hard conditions, for long days, in the heat and the cold." In addition, Jeff says the military culture made him more reliable as a person, a trait that translates very well into the civilian workforce. "You have to be in the right place at the right time with the right equipment. And you have to work hard. You're accountable for the results of your day." David Bartholomew, a U.S. Navy veteran, has already had some experience in the renewable energy industry, having worked part-time for a small solar company and earned an associate's degree in renewable energy from Red Rocks Community College after taking advantage of the post-9/11 G.I. Bill. But after returning to school and using up his eligibility, it was time to re-enter the job market. 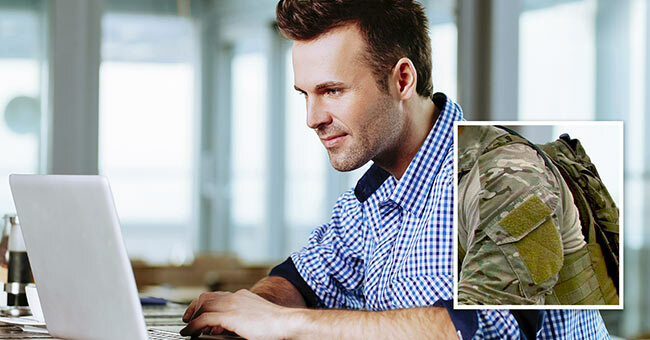 Finding himself unemployed, David was conducting online searches for employment opportunities when he connected with Veterans Green Jobs, and got in touch with the nonprofit's career counselor. "She acted as an advocate for me and contacted the hiring manager at Solar City. She also gave me tips on fine-tuning my resume. That got the door opened and landed me an interview," he says. Soon after, SolarCity hired David as a solar installer. David's experience in the military equipped him with team-building skills and an ability to work in harsh conditions. As a U.S. Navy diver, he developed specialized expertise leading teams in diving and engineering operation projects, including maintenance and repairs under extreme, open-ocean environments. Leaving the Navy with 23 years of service under his belt, he took a break to live as a civilian and to obtain a Bachelor of Science degree in human resources management. David has found the transition to the civilian market challenging, indicating it was difficult finding a job that was a good fit. And he misses the relationships he formed in the military, and as well as the level of responsibility he was tasked with during each new assignment. He finds the civilian workforce environment very different. "I have to prove myself at the lowest level in the civilian community," he says. Luckily, he has found the culture he was seeking at SolarCity. And he loves what he is doing. "I take pride that my job doesn't just earn me a pay check – it is also making a difference in the environment by reducing our dependence on non-sustainable energy consumption," he says. SolarCity provides clean energy services to homeowners, businesses, schools, non-profits and government organizations. With hundreds of open job positions across the country at any given time, SolarCity regularly needs to access a pool of qualified job candidates. Micah Fromkin, regional operations manager for SolarCity's Parker, Colo. Office, notes veterans are a good fit for the renewable energy industry due to the technical skills they bring to the table. "Many of the veterans we see are coming with skill sets that include working at heights, in difficult conditions and in harsh weather. As solar installers we find ourselves working in those conditions all the time," he says, adding that general construction experience is a plus for any position in the solar installation field. SolarCity offers an training program that educates and increases the skill sets of any new employee joining the solar installation team; new members of the team typically enroll in a 40-hour training session at the start of their employment with SolarCity. But Fromkin says that solar installation isn't the end of the path for veterans who join the team: there are numerous career possibilities in this field. "Like in any industry, you start out at the bottom – but you get the skill sets and knowledge that allow you to move forward in the renewable energy industry. A junior installer might become a trainer or might go into operations management. The sky's the limit after that." Fromkin encourages veterans who are looking for work in the renewable energy field to highlight the skills they learned in the military – and remember that they are applicable in the private sector. "For example, being able to rappel is something we see consistently in solar applications. We work in full OSHA compliance, which means everybody needs to be tied to a safety anchor on the roof. In the military, they're used to working in those types of conditions with that kind of equipment." SolarCity does take advantage of the tax incentives available for hiring veterans – and promotes these tax incentives across the divisions of the company. But for Fromkin, it's the combination of soft and technical skills veterans possess that make them valuable team members for the company. "What we've found in interviewing and hiring veterans is that they slide into a team mentality very easily. They're problem-solvers. And they're typically willing to go that extra mile and do what they need to do to make sure their team is successful and the company's successful." Veterans Green Jobs publishes a weekly e-newsletter, The Jobs Page, which provides announcements about job opportunities, training and education opportunities, and upcoming events. Veterans may sign up at www.veteransgreenjobs.org/interest-form.